Our cute 'mini envelope & note card guest book' is a unique guest book that will provide special memories for you to treasure for years to come. 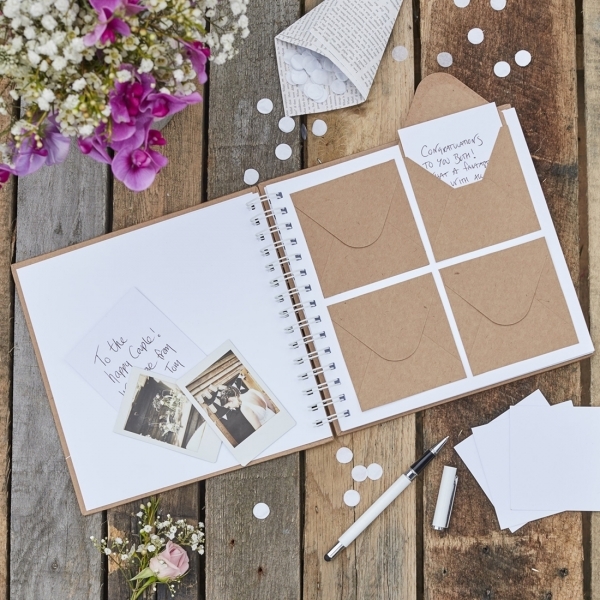 Your guests will love filling out the cute message cards & placing then into the envelopes, which can then remain completely personal, the bride & groom will love opening all the heart felt messages. 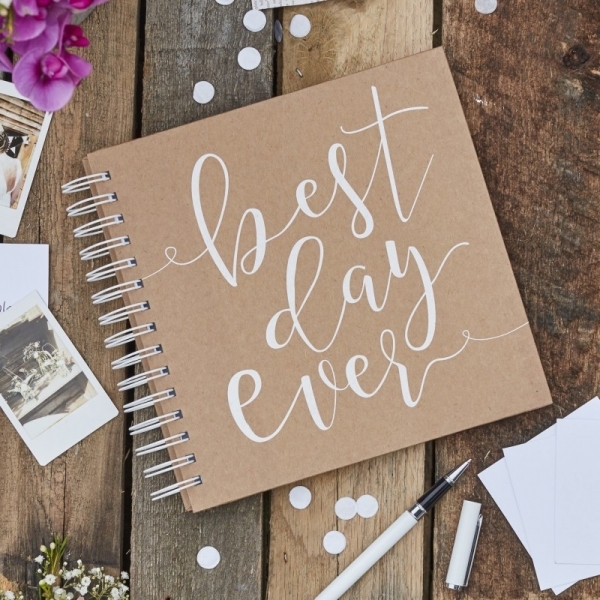 The words 'best day ever' are featured on the kraft coloured guest book. The envelopes are stuck into the guest book with a card to write on. Guests will pull the card out, write on it & pop it back in. Each pack contains one guest book with 80 envelopes & 80 cards. Guest book measures 20.5 cm wide x 21 cm long x 1.3 cm deep. The envelopes measure 10 cm x 10 cm, the notecards measure 9.5 cm x 9.5 cm. Also suitable for other special occasions.